Venus in Furs (1969) – Franco’s masterpiece. Eugenie (1970) – An impressive De Sade updating. Jack the Ripper (1976) – a very dull picture with no identity. Faceless (1988) – modern picture, full of missed opportunities. We’ve got a detailed new biography of Jess Franco, and don’t forget our archive review of Franco’s Diabolical Dr. Z (1966). We’ve been slightly delayed on the review front after taking the weekend off to visit the Bradford Film Festival, but on the plus side we did get to see Horror Express (1973) on the big screen and I nearly bumped into Robin Hardy in a resteraunt. Reviews of Jess Franco’s Jack the Ripper (1976) and Eugenie (1970) are complete, as well as a Jess Franco biography page. Venus in Furs (1969) and Faceless (1988) will follow over the next few days so expect all the reviews to be uploaded this weekend. After a lengthy hiatus (due to University finals exams and moving house), Mondo Esoterica is back in business. During the time, we have sorted through all our existing reviews, correcting spelling errors etc., plus we have a new domain name – Mondo-Esoterica.net, but don’t worry – all existing r-t-c.co.uk/dvd links will still work. Murders in the Rue Morgue (1932), The Black Cat (1934), The Raven (1935), The Invisible Ray (1936) and Black Friday (1940). 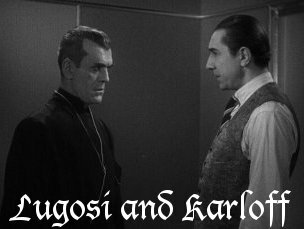 Plus, we have new links pages for Bela Lugosi, Boris Karloff, Edgar Allan Poe and Universal Horror. Plus, a bonus review: The Last Days of Pompeii (1935), from the creators of King Kong (1933) and recently released on R1 DVD by WB. 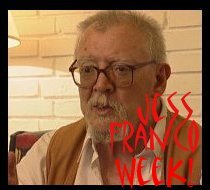 Its a Euro-cult week coming up, so watch for plenty of Jess Franco this time next week. Hi all and welcome to the new Mondo Esoterica blog – part of our ME v1.5 upgrade (which to be honest is just this blog and a new homepage title font). We are going to be using this blog to announce our new reviews, any other site updates and also any DVD releases of interest. Don’t worry, you won’t have to read any political rants or personal news – and Mondo Esoterica is strictly a World-Cup free-zone! So if you want to keep aware of any new reviews we post – bookmark this blog today! You are currently browsing the Mondo Esoterica – Blog blog archives for June, 2006.